Casta (working title) is inspired by a series of casta paintings by Miguel Cabrera, a mixed-race painter from Oaxaca. Casta paintings were a unique form of portraiture that grew in popularity over the 18th century in Nueva España that depicted different racial mixtures arranged according to a hierarchy defined by Spanish elites. When a lowly apprentice is commissioned to paint a casta series for a wealthy patron, he tries to conform his work to a set hierarchy but finds the images revolt, illuminating a complex portrait of fluid Latinx identities. Casta is being developed with Salvage Vanguard Theater (Austin, TX) with a creative team that includes director Jenny Larson, composer Graham Reynolds and translator Jesus I. Valles. 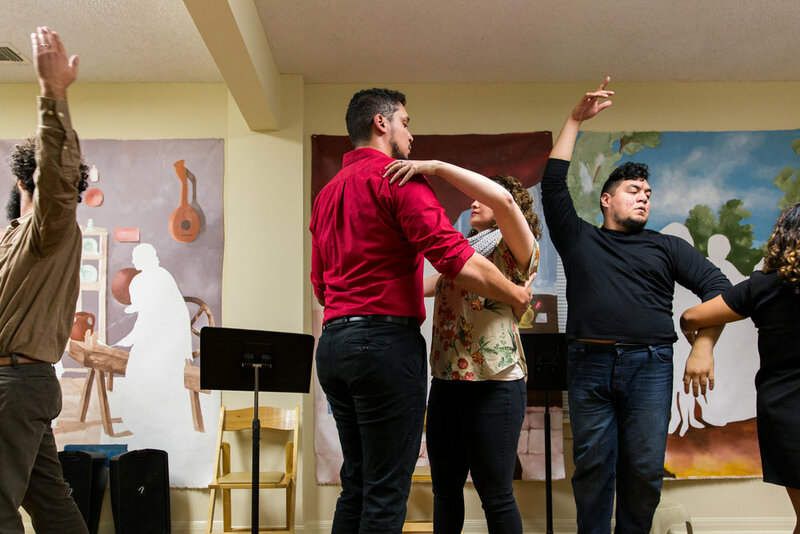 “Casta" is supported in part by the National Association of Latino Arts and Cultures, the Andrew W. Mellon Foundation, the Ford Foundation, Southwest Airlines, and the Surdna Foundation through a grant from the NALAC Fund for the Arts Grant Program.